Let me tell you about my first alcoholic drink: kombucha. This is the black tea from a fermented mushroom. Because it is possible to contaminate a fermentation—which may sound strange to even beer-drinking, mushroom-loving Americans—kombucha gets a bad rap as something very dangerous. 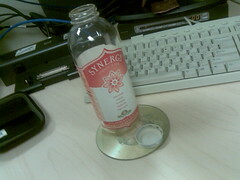 As far as I know, kombucha is as dangerous as the funky people who try to make it, package it and sell it. I would not drink your hippie friend’s kombucha—unless she is an ordained Tibetan monk. Here in the rasx() context, kombucha is related to probiotic nutrition. It is said that drinks like kombucha improve immune function and prevent infections. Of course probiotics are in opposition to antibiotics—and most of us Americans should know how much we love their overuse… My mother is suffering today in part from her decades-long relationship with antibiotics. What may still be strange to my mother (and likely yours) is that bacteria can be useful—what is off the charts of bizarre for my mom is that human beings are deeply related to bacteria—and we should consider some of them our cellular ancestors. Instead of declaring yet another war on bacteria—holding a stance of complete opposition with a false sense of purity—we need to compose bacteria instead of oppose bacteria. I break them up for taco meat. I use them as “sausage” patties (with potatoes) for breakfast. I break them up into large chunks (with quinoa pasta) for the “meat balls” in spaghetti. And, of course, rice burgers and French fries make a tasty meal. 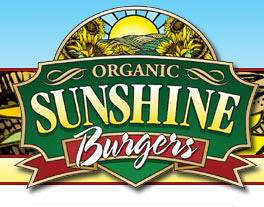 Now I have tried the Bahama Rice Burger, “the first rice based burger meat alternative,” but I prefer the Sunshine Burger. It is all a matter of seasoning. There is a glycemic-index concern with rice-based products—so eating too many high-glycemic index things at once is not cool.